Last year, when we visited California wine country, I fell in love with a chicken salad we found at a local market. I always refer to it as the “wine country chicken salad” whenever I bring it up to Mathlete. While I haven’t found it in any markets close to home, I have started making from scratch at home trying to recreate that vacation. 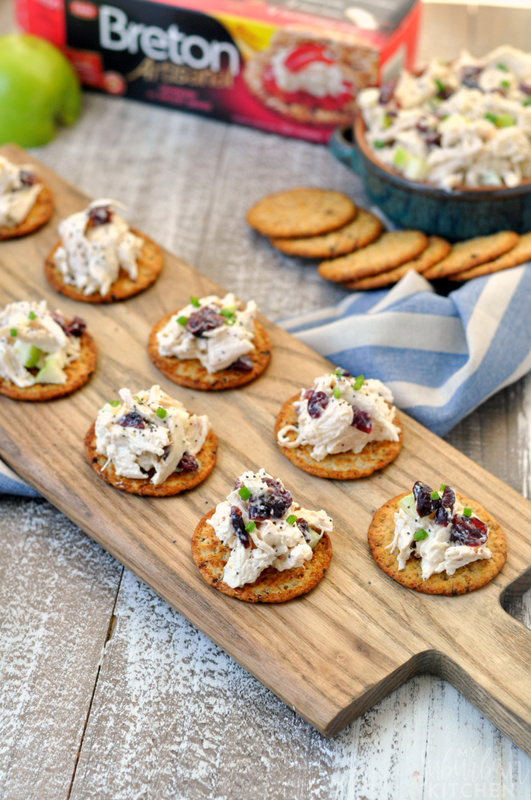 Plus, the chicken salad is perfect for parties and picnics because it is so easy to pack and take along. 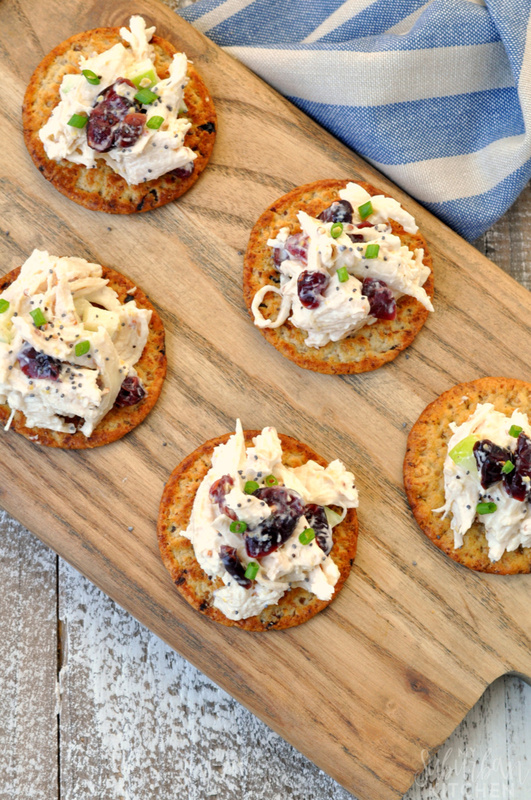 One of our favorite ways to enjoy this wine country chicken salad is on top of Breton Artisanal Cranberry and Ancient Grains crackers. They are the perfect size and texture for making little one bite appetizers for parties or for scooping up chicken salad at a picnics. With Breton’s variety of flavors and textures, there are endless ways to enjoy them. We love the Breton Artisanal Cranberry and Ancient Grains crackers but I am also looking forward to trying the Breton Artisanal Sweet Potato and Ancient Grains soon. From simple appetizers to a delicious crust, or simply eating them right out of the box, there’s definitely a perfect Breton cracker for everyone. 1. In a small bowl, combine Greek yogurt and mustard. Stir to combine. 2. In a large bowl, mix together chicken, cranberries and apples. Stir in yogurt mixture. Season with salt and pepper. Refrigerate until ready to eat. When I am making these for a party, I do sprinkle some poppy seeds and snipped chives on top but they are totally extra and not necessary for the chicken salad! 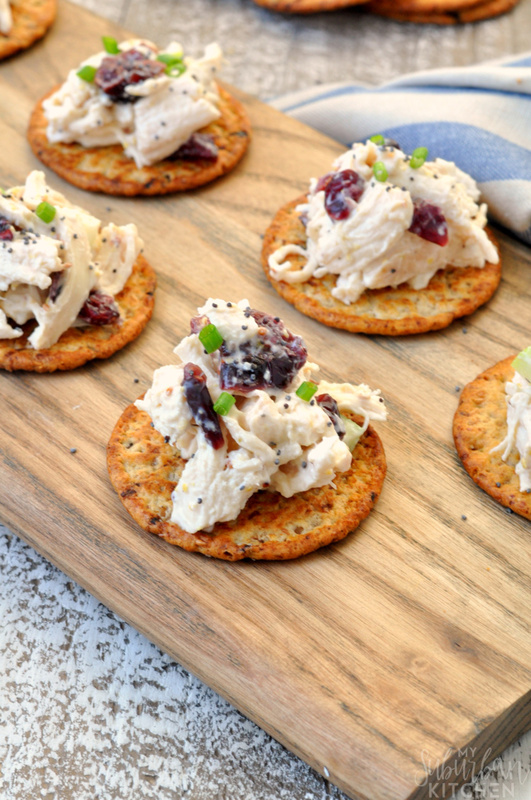 I am always making a batch of this wine country chicken salad on the weekend so we can have it for a quick lunch, snack or even dinner on a busy night. 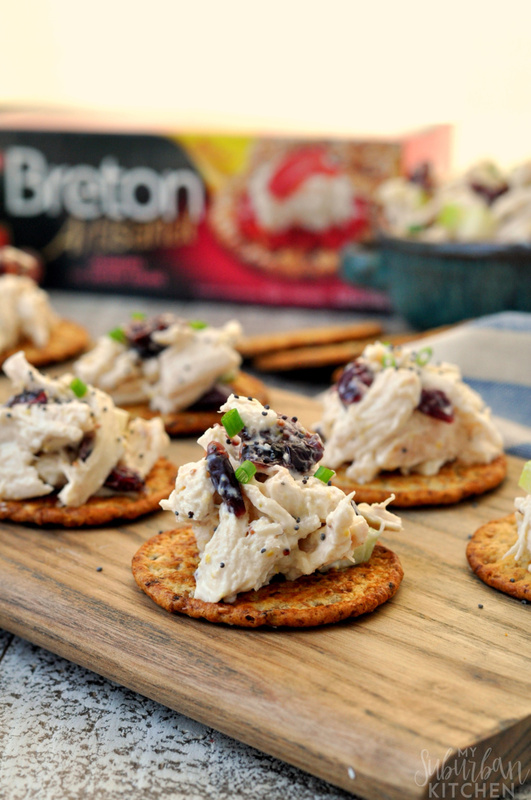 With Breton Artisanal Cranberry and Ancient Grains crackers always in our pantry, we can pair them with the chicken salad for a quick lunch, snack or even dinner on a busy night. What are your favorite easy recipes? 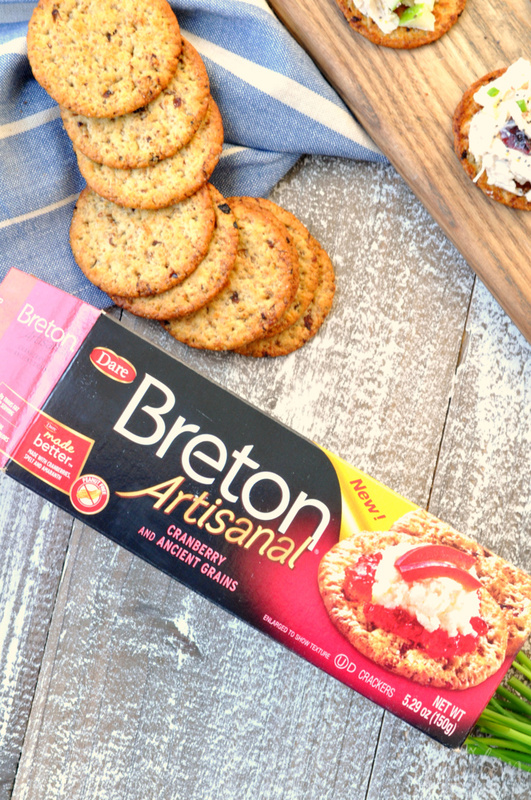 Have you tried Breton Artisanal crackers before? They offer offer great tasting varieties that balance delicious flavors with wholesome, real ingredients. In a small bowl, combine Greek yogurt and mustard. Stir to combine. In a large bowl, mix together chicken, cranberries and apples. Stir in yogurt mixture. Season with salt and pepper. Refrigerate until ready to eat.